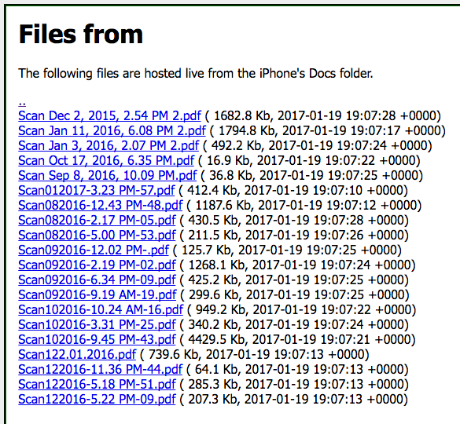 How to transfer scans to a computer? Sometimes, you want to transfer scanner documents to your computer, say, for some enhanced editing. 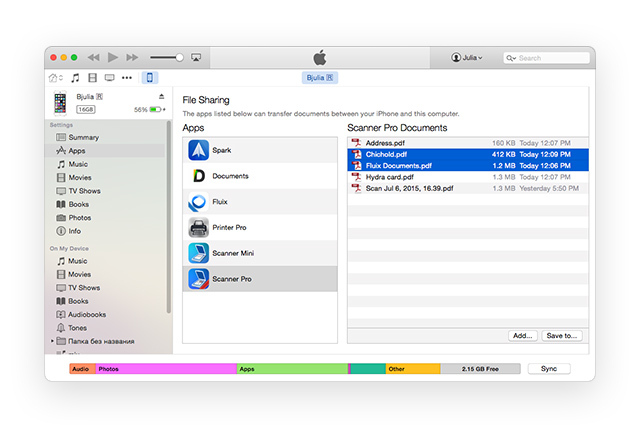 You can easily transfer scans from Scanner Pro to the computer desktop with the iTunes File Sharing. For this: connect your device to a computer via USB cable, open iTunes, select your device and click on the Apps tab. Click Scanner Pro icon, select the files and choose Save to to transfer scans from Scanner Pro. 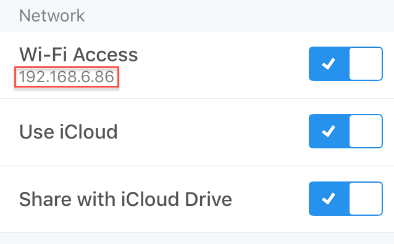 How to transfer scans to a computer wirelessly? For this, go to app settings and toggle WiFi Access on. Open the Web browser on your computer and type the IP that appears below the WiFi Access sign as URL http://... in the address bar. Tap on iOS device "Allow the connection" from your computer, the documents will appear in the Web browser. Click on a file to load it. To save it choose the Save button. Note: Wi-Fi Access connection will be lost straight after your device's screen is locked. To avoid this, go to iOS settings -> Display & Brightness -> Auto-lock -> select Never.